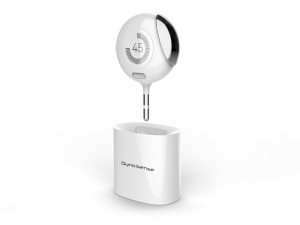 Delivered extremely quick-turn media support for DynoSense, an early-stage health device that had been selected to participate in TechCrunch Disrupt SF’s Startup Battlefield. Activated on the Thursday before Disrupt by Laura Nobles Global Communications to provide introductory briefings with the media, I had to move fast to support the first-of-its-kind medical grade device. Time was short – I only had 1 ½ business days before event media were in the thick of working the show. DynoSense’s Startup Battlefield presentation was on the same day as the iPhone 6/Apple Watch launch event. TechCrunch was to issue news about Startup Battlefield companies on the Monday show day, and all details – including company name, debuting product and sharing executive names of selected organizations – were off limits until their news was posted. In addition, Marketplace Tech and The Huffington Post showed interest in finding out more about the company – and while they couldn’t lock a meeting, they wanted to keep DynoSense on their radar. The CEO’s first name only was used with media until the TechCrunch embargo lifted, and location (as well as additional product details) were supplied on-the-fly on Monday prior to meetings.